Destiny 2’s Black Armory expansion is available today as part of the game’s Annual Pass. 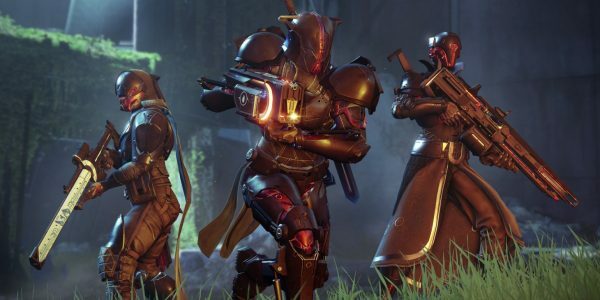 True to its name, Black Armory adds a bunch of exciting new weapons to the existing Destiny 2 loot pool. The final trailer for the expansion puts those weapons front and center, showing just how much havoc they can wreak. Izanagi’s Burden – An Exotic sniper rifle with a unique ‘Honed Edge’ perk. Honed Edge allows a user to combine all four rounds from the weapon’s clip into a single ultra-powerful shot. No Feelings – A Legendary scout rifle which fires Arc rounds. 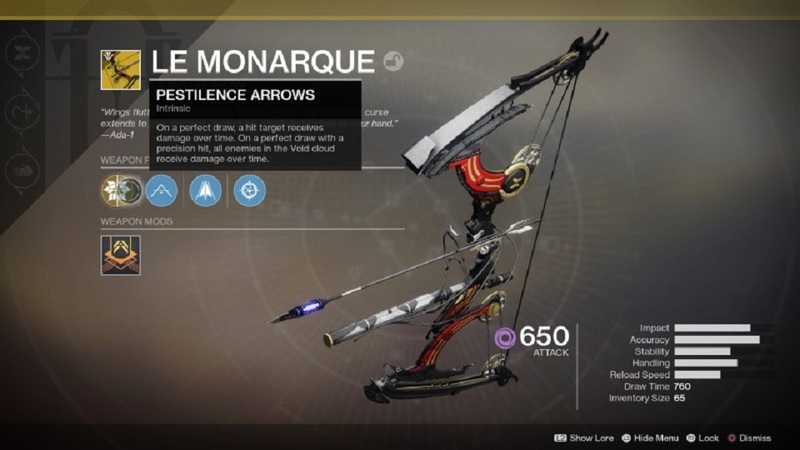 Le Monarque – An Exotic bow which mimics the functionality of the Destiny weapon Thorn. Precision kills create a poison energy cloud which can damage nearby enemies. Hammerhead – A Legendary machine gun with a Void damage attunement. Jotunn – An Exotic fusion rifle that fires exploding Solar slugs. The slugs create persistent pools of flame at the site of impact. Kindle Orchid – A Legendary hand cannon with a very high rate of fire. Threat Level – A Legendary shotgun that comes equipped with the Trenched Barrel perk. This allows the weapon to function in a similar fashion as the beloved Ikelos shotgun. The very end of the trailer also confirms the return of another Destiny Exotic. On January 29, Black Armory expansion owners can begin a new Exotic quest called ‘The Draw.’ Those who finish the quest are awarded a Destiny 2 version of the Last Word Exotic hand cannon. For more on Destiny 2’s Black Armory expansion, be sure to consult our in-depth information roundup.